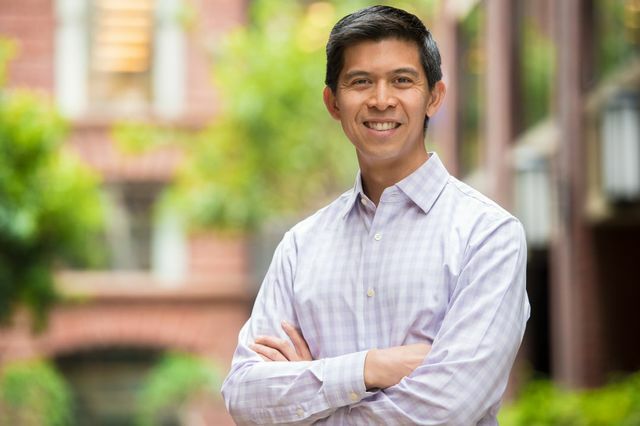 Christopher Punongbayan, who graduated from UCLA School of Law in 2004, came full circle in June 2018 when he was named executive director of California ChangeLawyers, a leading statewide foundation that promotes diversity in the legal profession and fairness in the justice system. 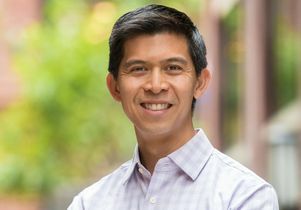 Punongbayan received a scholarship from the organization, then known as the Foundation of the State Bar of California, when he was a student in UCLA Law’s Critical Race Studies and Public Interest Law and Policy programs. As a lawyer, he rose to leadership positions at several state and national nonprofits, including more than eight years at Asian Americans Advancing Justice-Asian Law Caucus. 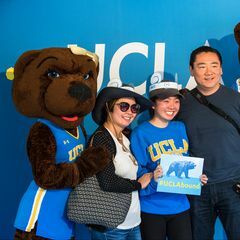 Here, he talks about his vision for California ChangeLawyers and how his UCLA Law education drove him to make a difference. What is your main focus as executive director? To invest in bright, diverse scholars. It’s these legal changemakers — ChangeLawyers — who will right historical wrongs in our courtrooms, classrooms and beyond. Over 1,000 law students have received our scholarships and fellowships, and legal aid groups in every part of the state, from San Francisco to the Imperial Valley, have been recipients of our grantmaking. What are the biggest challenges that the organization seeks to address? The same challenges that have always existed. Our legal system is run primarily by white lawyers despite the fact that California is over 60 percent people of color. Our criminal justice system disproportionately incarcerates and punishes black and brown communities. Our civil justice system regularly denies access to anyone who doesn’t have money to hire a lawyer. The only difference is that now we have a federal government that is explicitly, and unapologetically, dehumanizing the people who need justice the most. But something changed recently. The general public started to realize the power of lawyers. Lawyers can stop deportations. Lawyers can sue to block discriminatory executive orders. How does California ChangeLawyers seek to have an impact? If this administration has shown us anything, it’s that there needs to be an organization devoted to funding the boots on the ground, the activist lawyers and organizations. There needs to be a strategic legal hub that exists to find and empower the next Sonia Sotomayor, the next Kamala Harris, the next [ACLU Deputy Legal Director] Cecillia Wang. In the last 18 months, for example, we have funded civil rights lawyers to fight the Muslim ban, deportation defense lawyers to reunite families, and eviction defense lawyers to combat the rise in homelessness through California. How is your work informed by the fact that your parents were immigrants? 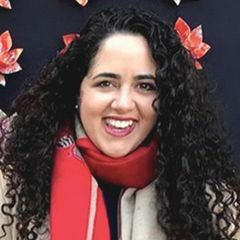 Coming from an immigrant family and growing up in rural Massachusetts, I learned some pretty hard lessons early on about belonging and exclusion. But I wouldn’t have developed my outlook on life without these experiences, so I’m actually grateful to have faced these challenges and come out stronger on the other side. In what ways do your experiences as a UCLA Law student impact your work and philosophy today? I loved my time with both the CRS and PILP communities. They were both extremely formative experiences. With CRS, I learned how to view the law and our society with a critical race lens. We have never lived in a colorblind society; racism is alive and kicking in America today, and it hurts our profession, the justice system and the very democracy we live in. With PILP, I gained a community of public interest law practitioners who are like family. Back then, we studied and were active in student organizations together. Today, I still collaborate with UCLA Law’s PILP graduates on civil rights and immigrant rights issues impacting California’s most vulnerable communities. Also, 9/11 happened when I was a 1L. It gave me even more of a sense of purpose to pursue a career as a ChangeLawyer because in times of great national division, the Constitution and its safeguards are more important than ever. Christopher Punongbayan, 2004 graduate of UCLA School of Law. Executive director of California ChangeLawyers.